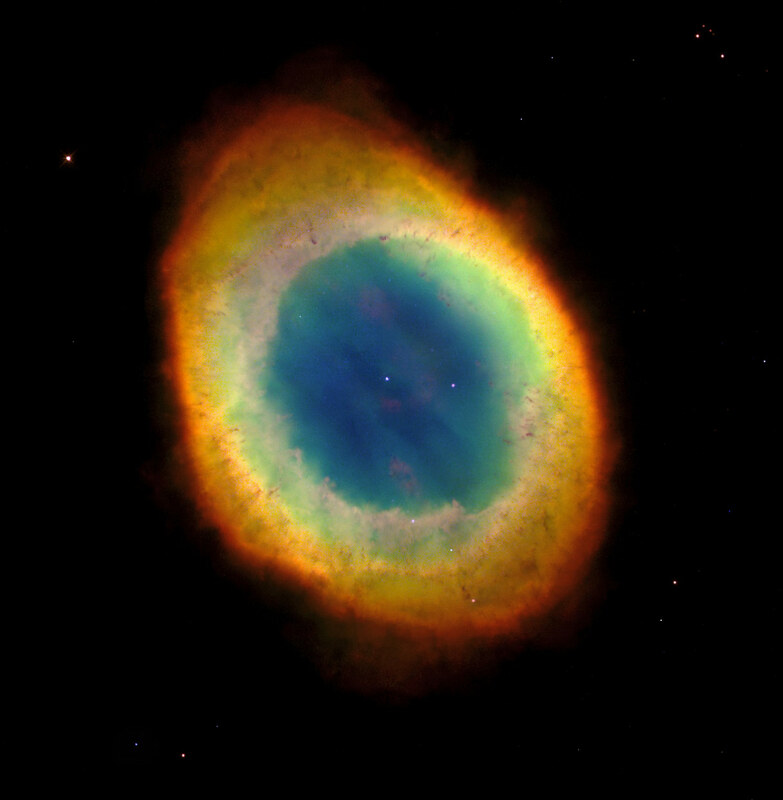 By using data from the Hubble Space Telescope combined with infrared data from ground-based telescopes, researchers were able to view the Ring Nebula’s true shape and construct a precise 3D model of the nebula. 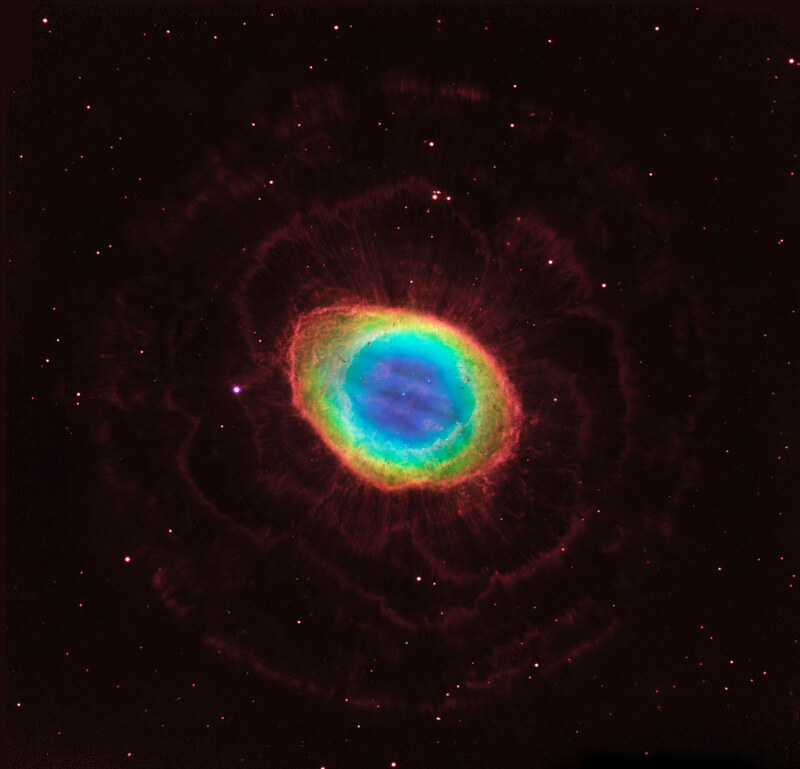 The Ring Nebula’s distinctive shape makes it a popular illustration for astronomy books. But new observations by NASA’s Hubble Space Telescope of the glowing gas shroud around an old, dying, sun-like star reveal a new twist. “The nebula is not like a bagel, but rather, it’s like a jelly doughnut, because it’s filled with material in the middle,” said C. Robert O’Dell of Vanderbilt University in Nashville, Tennessee. He leads a research team that used Hubble and several ground-based telescopes to obtain the best view yet of the iconic nebula. The images show a more complex structure than astronomers once thought and have allowed them to construct the most precise 3-D model of the nebula. Previous observations by several telescopes had detected the gaseous material in the ring’s central region. 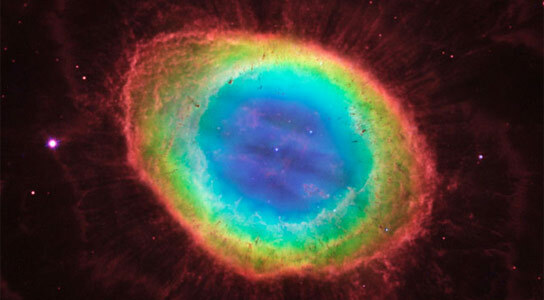 But the new view by Hubble’s sharp-eyed Wide Field Camera 3 shows the nebula’s structure in more detail. O’Dell’s team suggests the ring wraps around a blue, football-shaped structure. Each end of the structure protrudes out of opposite sides of the ring. 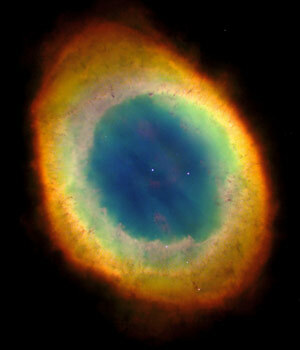 Be the first to comment on "New Hubble Data Helps Reveal Ring Nebula’s True Form"